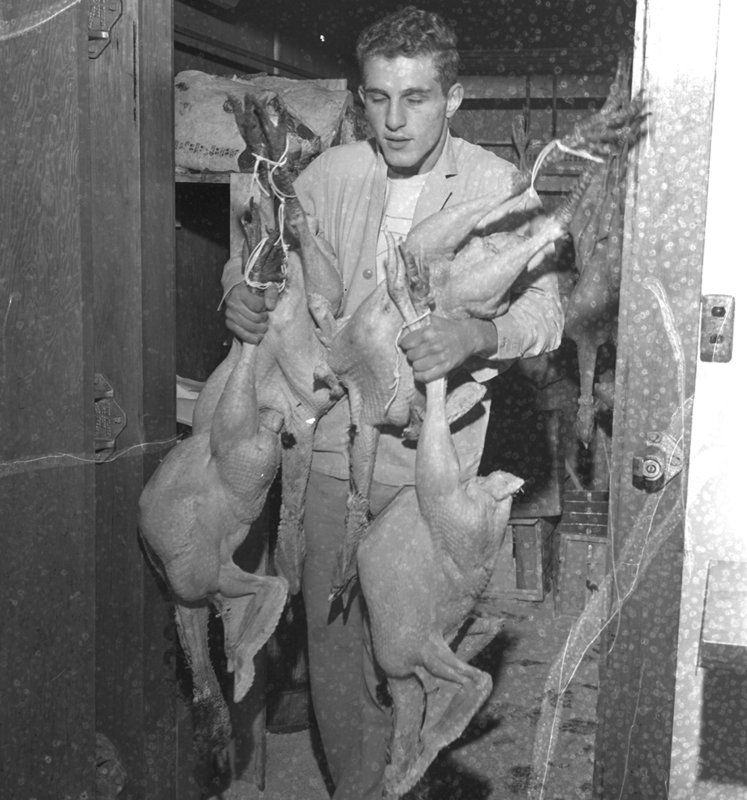 70842	EX 24 Nov 1952 : Man, with Thanksgiving turkeys. 1952: Jim Smaha, Deering High School football captain, does a little Saturday work for his father’s market. Deering was hoping that not one of the Portland High School football team will eat their turkey in a happy frame of mind.